You probably already know that Amazon is growing like crazy. Today we're going to breakdown how to make money on Amazon by diving into 6 different opportunities that you can use to get in on the phenomenon that is Amazon.com. Amazon is the future of retail, and it is unfolding right before our very eyes. 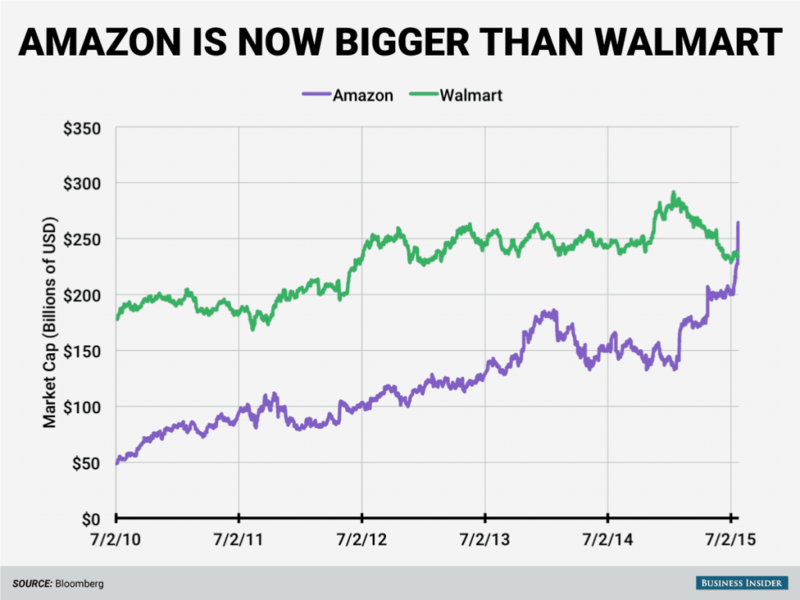 In 2015, Amazon surpassed retail giant Walmart in size and value. Amazon even broke its own record on Cyber Monday 2017, selling more products (hundreds of millions of them) than they ever had before in a single day. The trend of online shopping has also affected other traditional retail stores. According to this NASDAQ article, while the war between online versus traditional retail enters a new round, the latter no longer hires as many employees. Also, malls nowadays are much emptier. The reason for the shift of consumer behavior comes from the power bestowed upon the customers. Back then, they were at the mercy of retail stores as they drive from one store to another, hoping to get the best value. 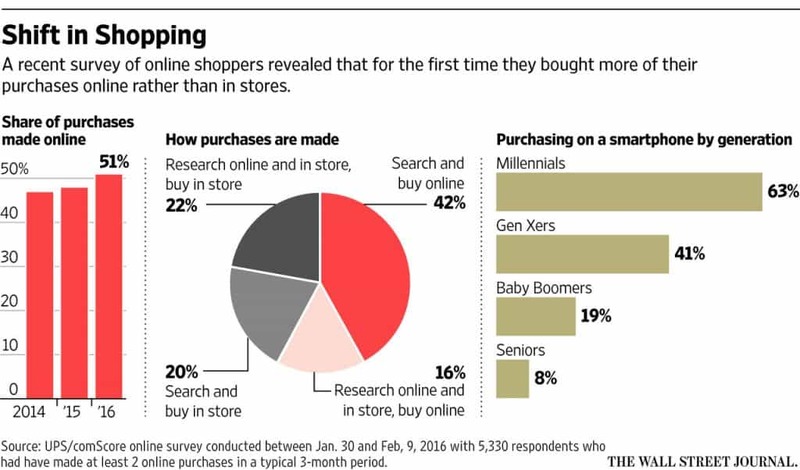 Nowadays, consumers can sit back at their homes while flipping through different online stores. The convenience of online shopping is evident in this Wall Street Journal article, as sales continue to grow annually since 2014. More importantly, a 2,000-person survey conducted by BloomReach reveals that 55% of users search on Amazon first for their online shopping needs, 27% more than Google. The statistics above only prove that there is serious money to be made on Amazon! As the trend of online shopping continues to become more of a fixture, you need to ride the Amazon wave now before it's too late. Today, I'm going to share how you can make money on Amazon…in 6 different ways. In fact, a lot of people have earned thousands of dollars, some of which will be featured below. Amazon Associates is its affiliate program (AKA “associates program”) that lets you earn up to 10% per commission for every product that you sell. Now, I've shared many examples of Amazon affiliate websites; including all the niche site projects. Because of its ease of use and the fact that Amazon sells almost everything, it's an excellent way to break into the affiliate marketing world. Once you sign up for free, you can begin choosing which products to sell. To earn commissions, you need to place your affiliate link to the product using a unique tracking ID when selling it. This way, the sale will be credited to your account. 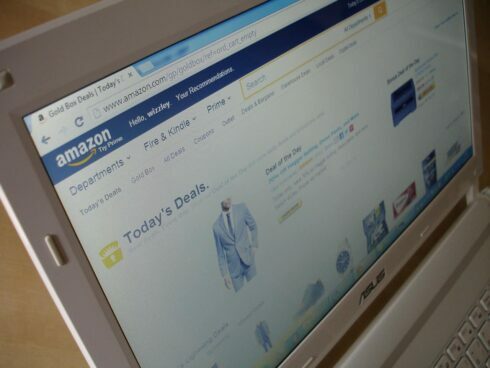 Selling an Amazon product can be as simple as sharing the link on social media and your blog. However, becoming a profitable Amazon affiliate takes time, effort, and lots of planning. In fact, I have covered a lot of articles that prove the possibility of making big bucks with Amazon Associates. One of those articles covers how I was able to make $3,000 a month a year after launching my Amazon niche site. The amount of commission you make from sales on Amazon has always varied. In the past, it was based on volume. In February of 2017 Amazon changed their commission structure significantly, so the variable rate was based on the product category – not the volume of sales you referred. As we've highlighted – you might have a niche website or blog about toys which sends people to Amazon to buy the latest and greatest toys for kids. When someone buys that new Disney action figure, you're only going to make a 3% commission. However, if you're promoting something like luggage or shoes – you'll receive 7% of the sale. That's a huge difference in the amount of money you can earn. So if you're still at the starting point and determining which niche to go into, look for one where you can take advantage of the higher commission tiers. Have you ever taken a look at your Google Analytics reports to see where your website's visitors are located? 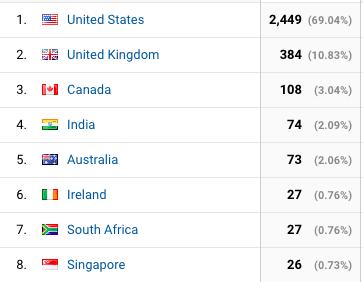 You may assume (like I did for a long time) that since you're in the US, targeting keywords based on Google US numbers, and writing in “American English”, virtually all of your visitors are also in the US. Notice on my site that under 70% of visitors during this time period came from the USA. What I've found is that if your site is in English, you'll likely have a good bit of traffic from the UK and Canada – since they share the same language. Amazon One Link to the rescue! The best part is – you can still get a commission. There are some initial steps to take to get this going, like signing up for the Amazon affiliate program in Canada and the UK – but it's a very straightforward process that might take you 30 minutes. If you're getting 10 – 15% of your traffic from these countries, doing this one-time setup will be well worth it. Click here to learn more about installing One Link. It's one thing to get people to click on your Amazon affiliate links, but it's another thing to get them to convert into a buyer. A click earns you nothing. You only get paid when people buy something on Amazon. Since the entire transaction is out of your control, you should worry about what you can control. One of the easiest things to control is the keywords you're focusing on with your content. The main reason is because this searcher already knows what they want. The want a Samsung. They want an LED Smart TV. They want to pay less than $500. Now when you write an article comparing just the models that fit their criteria, you can show only the most relevant results. When the search is more generic like “best smart tvs” you really don't even know if they have a brand in mind, if they need to stay within a certain price range, etc. – so your job of matching them up with a TV that they'll actually go straight to Amazon and buy is much more difficult. So if you want to turn the dial up on your conversion rate, then focus in on more specific keywords. Research your niche – To maximize your Amazon earnings, you need to build a site where you can sell the products. More importantly, you need to determine the niche your site will be about. Some niches will be much more profitable than others. On the other hand, the high-earning niches may not be in line with your hobbies or interests. Therefore, you need to find the perfect balance between profit and passion so you can sustain the site until it makes money. Find the right keywords – If you want to rank your website on search results, you should be aware that not all search queries are the same. There are those that will be difficult to rank for but will potentially give you the most sales. In this case, I always use Long Tail Pro to help me find profitable keywords that have the least competition. Develop a link building strategy – To boost your search rankings to the top, you must devise a link building plan using different tactics. Guest posting and influencer marketing are some of the better tactics you can use since both piggyback on the success of others. By guest posting on sites will lots of followers, you can tap into its readership and get them to visit your site in the hopes of converting them. Also, getting positive feedback from influencers in your industry lets you rub some of their authority onto your site. Want more? Click here to read our full guide to maximizing your Amazon affiliate commissions. I've now been selling private label products via Amazon for a couple of years now. The potential to make money with the Amazon FBA program is huge (millions of dollars a year potential). In a nutshell, you actually need to create a product, find a manufacturer, and start selling that product on Amazon. It's actually not as complicated as it sounds. This method is different from “retail arbitrage” in which you purchase cheap products and selling them at a higher price. By selling private label products, you get more control on how your products are sold. If you choose your products correctly, there is also less competition, thus giving you greater profit in the long run. Once you have the product on hand, you can upload the details on Amazon so users can buy it from there. Aside from being the biggest online retailer in the world, Amazon will take care of packaging and shipping your products to customers. Fulfillments by Amazon (FBA) lets you worry about growing your business as it does the rest for your clients while also scaling your performance. 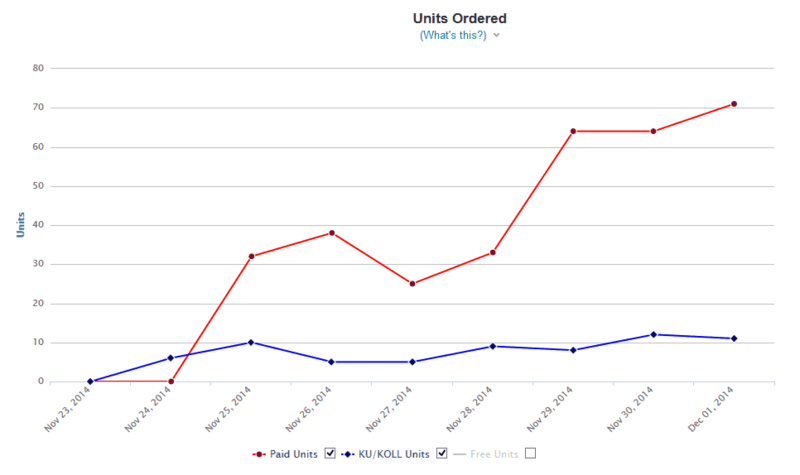 By selling private label products and Amazon FBA, I sold over $4,400 worth of product within 30 days. As things grew, I sold over $750,000 in the first 2 years of selling my own products on Amazon. Ultimately, I was able to sell the business for a $425,000 pay day after only being in business for 2 and a half years. I actually interviewed Chris Guthrie, another successful seller, about his process which you can listen to here. We've also written a very in-depth guide to selling on Amazon here, if you'd like to take a deep dive. It is so hard to sell “me too” products on Amazon in 2018. These are simple widgets (easy to knock-off) that you simply slap your logo on and say “I sell that too” (along with 274,000 other people). It's just very difficult to get noticed and get traction when you have no distinguishable difference between your product and the competitors. Instead, you're better off finding some unique, desirable feature or improvement you can make to an existing product so you have a chance to stand out from the competition. Tip: You can search reviews on Amazon for words like “Wish” (shown below) “Suggest” “Suggestion” “Improvement” and quickly find helpful reviews. You may have what you think is such a brilliant, slam dunk idea that is sure to land you on Shark Tank in the next 12-24 months to strike a lucrative deal with one of America's preeminent business people. The problem is that unless we have some reliable tools to evaluate our idea, we really have no clue how well it might sell on Amazon (or elsewhere). So you owe it to yourself to not get too emotionally attached to your idea until you've checked it out in a few places. FBA Calculator – This free tool is helpful for getting an estimate of how much your fees will be when you do sell on Amazon. Simply find a product that is very similar in size to yours, input a realistic retail price and then click “calculate” to see how much you'll actually net. Helium 10 – We didn't start using this until late 2017, but it's become our go-to product for researching product demand and competition on Amazon. There are a ton of features, but pay attention to the Cerebro tool which shows what your competitors rank for, how often those terms are searched in Amazon, and approximately how hard it will be to get your new product on page 1. Jungle Scout – This tool isn't perfect, but it's still a quick and easy way to get sales volume estimates of products on Amazon. Why does that matter? If the #1 search result for your primary keyword is only making $2,000 per month, is it worth the time and money to launch a product going after that same market? Pick a product that will sell – You need to conduct keyword and market research to see if your private label product will sell or not. WebRetailer provides a general checklist of factors that you need to consider when determining your product. Sell low at first – To gain traction from the market, sell your product at the lowest possible amount. With a low barrier of entry, not only will more people purchase early, but they will also leave their reviews, which you can leverage for social proof and more sales in the future. Want more? Click here to read our full guide to selling on Amazon. As mentioned earlier, retail arbitrage lets you determine inefficiencies in the market by marking up low-cost products on Amazon. Unlike private label products, retail arbitrage products are products that already exist and are readily available at local retail stores. All you need to do is purchase and ship them to be sold on Amazon. You can reap the benefit once users buy them. Perhaps a simple way to illustrate this would be to share a real example. Skyline Chili is a Cincinnati-based restaurant that also sells their product in local grocery stores. Skyline is one of those places that if you visit Cincinnati, everyone will tell you that you have to try it. If you happen to like it, you're probably out of luck for buying it when you get back home to Boston, or wherever you actually live. So if you're going to buy online, you'll probably search Amazon first right? So in this example, 4 packs of Skyline sell for $24.99 on Amazon but here at our local grocery stores like Sam's Club, we can pick them up for about $11 – $12. In the retail arbitrage game, I know that I can buy for $12 and sell for $25, and be able to make a few dollars of profit for myself after all the Amazon fees. One of the biggest advantages to retail arbitrage is that you can start REALLY small if you want to. You could find a really good deal on a toy or a personal care item at your local Target and buy just one of them, send it into Amazon FBA and sell it for a marked up price. If this sounds interesting and you have a ton of questions coming to mind, check out our full guide to retail arbitrage here. Another advantage is that you can start today! No need to wait on product samples, design logos, and all the other things that make launching a private label product so time consuming. In this case, if you can go find amazing deals at your local stores on products that people already buy on Amazon, that's just about all you need. There are also disadvantages with retail arbitrage. One of the big ones is that your competition changes so quickly. 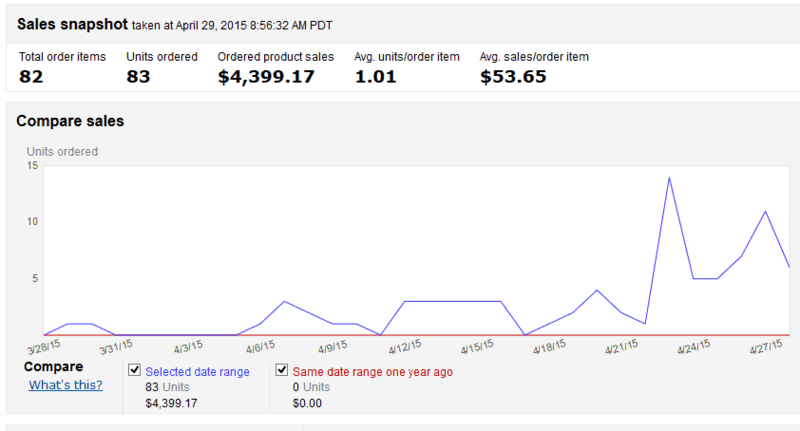 To go back to my Skyline example – let's say if I sell my products for $24.99 I am making $3 in net profit per sale. What if one of my competing sellers finds a better deal or is willing to take less in order to have the buy box on Amazon and decides they'll sell for $22.99? Now I have to either match or beat that price in order to stay competitive, or just wait and hope they sell out. The same goes for when Amazon starts selling a product against you. The best retail arbitrage opportunities are when you're competing against other third party sellers – because it's a level playing field. 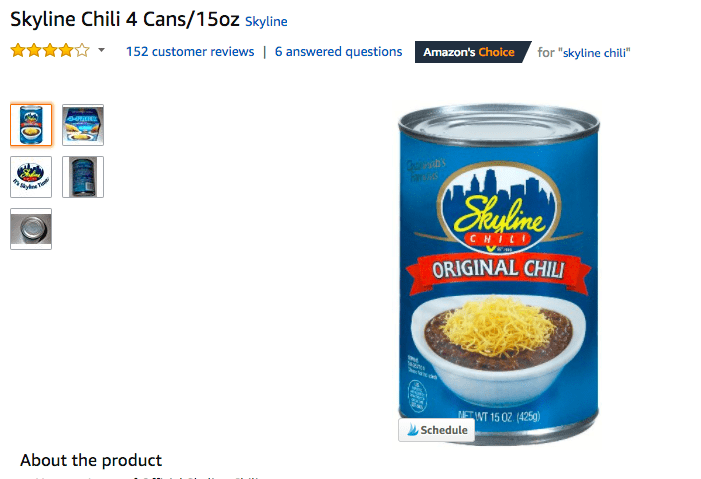 However, if Amazon decided that Skyline Chili sells so well that they want to start buying and selling it directly, they'll probably have a retail price similar to your local store. Imagine if you bought 100 units to sell and out of nowhere you're competing against Amazon who can offer a much lower price! That's the risky nature of doing retail arbitrage. Despite the disadvantages, retail arbitrage is still an excellent side hustle and a fantastic way to get you in the Amazon seller ecosystem. I know people personally who make what many would consider a full-time living from just doing retail arbitrage. LIke anything else, the more you do it the better you get at finding deals and perhaps more importantly – avoiding the bad deals. Use a scanning app – Instead of manually doing your research, tools like Inventory Lab let you find out how much money you can make before you buy the product. Sure you'll look a little weird walking around a store and scanning barcodes, but I'd rather look weird than to find out I'm going to lose money trying to sell that product on Amazon. Gateway to private label products – Truth be told, you likely won't earn as much in retail arbitrage as you would selling your own products. At best, this approach is a great way to acquaint yourself with how to sell products on Amazon. Ultimately, you will want to earn more, which will encourage you to move away from this method to a more profitable one. Merch by Amazon is the online retail store's answer to sites like Etsy and Zazzle. You upload your design on the platform and use its promotional tools to make sales and profit. While its competition has a larger foothold in the market due to years of existence, Merch by Amazon holds the advantage of millions of Amazon users at its disposal. The designs will be searchable from Amazon, which draws the attention of existing Amazon customers. At the moment, Merch by Amazon is not open to the public. You can only sign up and request an invitation in the hopes of getting an account soon. For a rundown on how to make this business work, I'd suggest checking out this guest post on Niche Pursuits about how Neil started making over $10,000 per month selling t-shirts on Amazon. Research for your t-shirt niche -T-shirt research software like Merch Informer will help organize your data and provide metrics so you can identify which t-shirt designs to sell. Use optimized colors for t-shirts (or other products) – According to the case study, the four most popular t-shirt colors sorted in the display are black, blue, gray, and navy blue. Make your design compatible with these colors to increase the chances of people purchasing your design. Feature keywords on title and bullet points – Find the most relevant keywords to your design and include them in both sections of your product details page. Also, put yourself in the shoes of your customers to know keywords that you would type that will get you the results you want. Getting the right designer – Find designers on UpWork to get the biggest bang for your buck. To attract good designers, be as detailed as possible in your project description. Also, promise them steady work over time and give 5-star reviews if you like their work. The Amazon Kindle Direct Publishing allows writers to profit from their self-published work without relying on clients for their income. You need to upload your work on Amazon and sell the book from there. Now of course, you need to start marketing your book. Most books won't sell unless you promote it and start getting reviews. If you want to see the steps I recommend for launching a book on Amazon Kindle, read this guide I wrote: how I earned $100 a day by self-publishing a Kindle book on Amazon. Use your book as a lead generation tool – Create a page on your site that provides buyers of your book access to free resources relevant to the book's topic. Place the link to the page in the first few pages of your book. To download the resources, they need to enter their name and email first. Prepare a follow-up book – True profitability as an Amazon Kindle publisher lies in your ability to publish more than one book. The idea is to build a library of books related to each other to increase the chances of your reader to purchase another title from you. Develop smart pricing strategy – After getting your self-published book listed, introduce it in the market for free in its first few days to gain traction. You can proceed with marking up the price for less than a dollar for a week to drum up interest. Once you feel that the hype has peaked, increase the price again to its normal price. If you fancy yourself as a busy bee, then Mechanical Turk is right up your alley. The platform is best used by small business owners and entrepreneurs looking for a quick fix for menial tasks. Mechanical Turk provides you access to people who will help you get the job done on the cheap. However, if you are looking to make money via Mechanical Turk, its easy to sign up and get started working. You likely won't make a ton of money doing these simple tasks that often only pay 10 cents or so, but it could be an easy way to save up some money to start a business. (I discussed saving up to start a business recently as a great way to go). Michael Naab wrote a post at Side Hustle Nation on how he was able to make a cool $150-300 a week as an MT user. So, the potential is there to earn some extra spending money for sure. Work more to earn more – Higher paying jobs will only be available to users who have completed lots of jobs using the platform (as low as 100 jobs). Therefore, you need to put in the time and effort first before you reap the benefits of your hard work. Work more as a supplement to your current job – As mentioned in the link above, Mechanical Turk will pay less than the minimum wage in most cases. If you want to turn this gig into a full-time job, then be prepare to burn the hours answering surveys and doing data entry jobs. However, if you are just looking for productivity ways to spend your extra time, then Mechanical Turk may just be for you. Amazon has proven to be a critical not only for buyers but also for online entrepreneurs and marketers. It has changed the landscape of commerce and has provided a platform for people to get creative and make money using the platform. Fortunately, as an entrepreneur looking to replace a full-time job or a side hustler just wanting some extra money, you've got a number of different ways you can get in on the action and hopefully now you feel more confident in how to make money on Amazon. Have you tried any of ways to make money on Amazon listed above? What were the results and how do you think you could have done it better? Share with me your answers by commenting below! A great review on making money on amazon. Am mostly familiar with amz affiliate and soon enough I will be taking part in the amazon kindle. Great article. I am using MBA. That’s the best money making method for newbie if you don’t have money or too much time to invest. i have a Niche Site, my niche is Fishing related.how can get better Sell? I am a big fan of your article . I read through all the article . I also have a niche site. I used to target top rated product on amazon . In the article you tell about “retail arbitrage” which used to sell product in high price by getting it at low price . It is very popular . Just a thought: This site combines two business concepts (nich sites and FBA) quite nicely, somehting I haven´t seen somewhere else. Somehting fresh and new, which you definetly should explore further! There is no limit to keywords on the back, fit in as many as you can (that are still relevant). I agree on the two business concepts. I’m building more and more of these types of sites + fba…so I expect more discussion on it in the future. Actually I love Amazon but have been Lazy working towards on how to make huge with it. I feel relief find this article and am gonna work towards it. A very inspiring article for someone like me who is just starting out on Amazon Affiliate marketing. Your articles have been quite helpful to me. Keep it up! Really useful article. 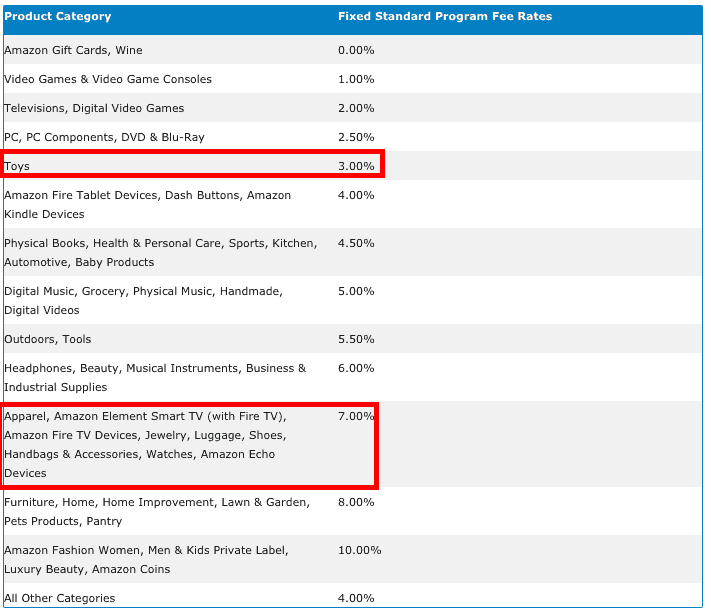 Cleared few doubts about how & which product category to choose in amazon affiliate program. I am a fan of this blog. Today I got an excellent delivery from you. I will start Amazon affiliate Asap. I will follow your guideline. Thanks for sharing.